Freshmax Group comprises one of the largest fresh produce marketing and distribution operations in the Southern Hemisphere. Throughout the supply chain of Fresh Produce, from field to fork, we see opportunities to drive innovation and efficiency. This philosophy has driven us to the scale we maintain today. We manage commercial relationships across 87 countries spanning seven continents. Annually we handle more than 36 million boxes of fresh produce. Freshmax was established in New Zealand in 1995 and privatised in 1997 through a management buyout which brought ENZA Subsidiaries Freshmax and Frucor produce together. Freshmax New Zealand was developed as a full-service produce marketer specializing in retail category management, regional wholesale, distribution, export/import and value-adding services (i.e. pre-pack, ripening). In 2006 the company was repositioned to develop a leading fresh produce platform across Australasia. In the years that followed, John Holman & Co, Panda Ranch, Oztaste and Grewal all joined the group to form Freshmax Australia. De Luca Banana Marketing became a part of the group in 2011 and is now one of Australia’s leading banana marketers. Since 2011, the Freshmax Group has focused on the expansion of production and logistics assets (growing) and intellectual property (new varieties) in key categories (specialisation). Following its 2013 acquisition of Energie Fruit Freshmax continued its expansion into global pipfruit through the acquisition of Crasborn Group in 2014. This established the business as one of the largest scale pipfruit marketer/exporter operations in New Zealand. In 2016, Freshmax fully acquired Valleyfresh, an international fresh produce sales and distribution business with significant service assets in Australia. 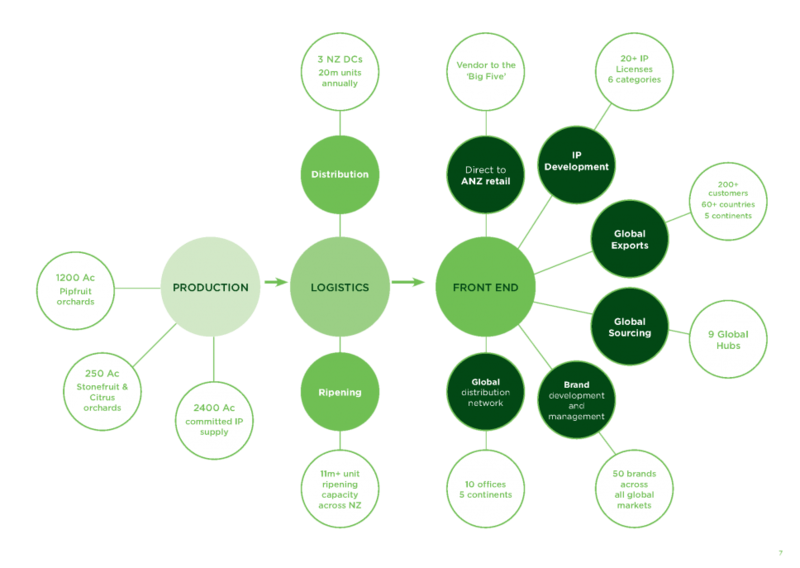 The wider Valleyfresh group has an operational and procurement footprint in seven countries around the world and represents the largest component of Freshmax’s global reach. As a produce business of significant scale and with many locations across multiple continents, it has always been our goal to provide industry-leading services. The Freshmax Group has extensive experience in the licensing, development and commercialisation of new varieties and brands.